The ugly Christmas sweater phenomenon seems to be yet another case of public trends where the fundamentally undesirable is somehow turned into a nouveau fashion statement, like Uggs or Hummers. While an intense examination of the psychology behind their resurgence would be an interesting application of our time, I'm not paid to write about wooly jumpers. 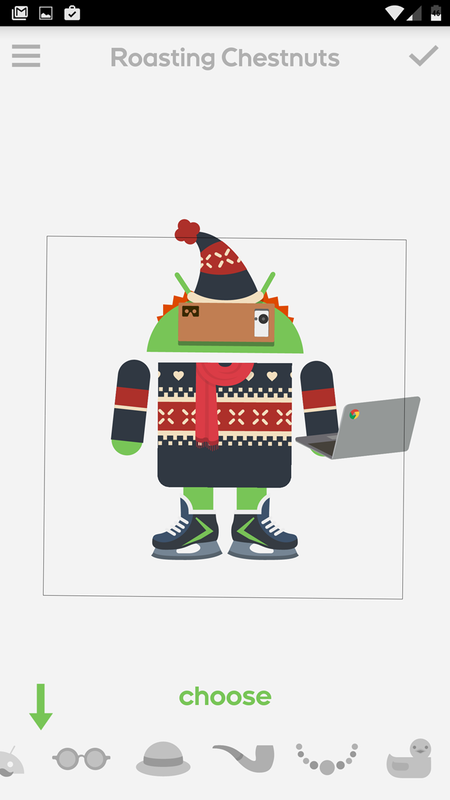 If all you want for Christmas is an Android avatar with a tasteless sweater, then check your Androidify app for the latest update. This version introduces a ton of new clothing items with holiday themes, like the aforesaid sweaters, a festive hat or two, and ice skates. (There were already a few items like a Santa suit or reindeer antlers.) More mundane clothing has also been added, like a few women's dresses and a new Google Cardboard glasses set. Users can also add new accessories, like a cup of hot chocolate or some fancy coffee. 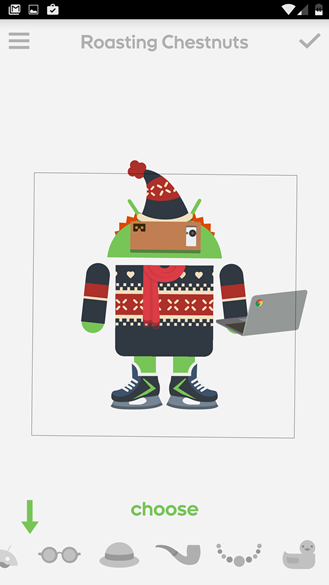 Never ones to miss a branding opportunity, Google has also added tiny digital versions of the Nexus 5X, Nexus 6P, and a generic Chromebook, so you can show just how devoted you are. 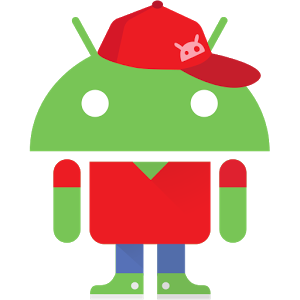 As always Androidify is free, and it includes all the tools you need to share your digital creation directly or with Android's built-in share menu. It looks like the app is skipping Google's usual staged rollout system, but if you can't get it for some reason, the file is available on APK Mirror.